You will enjoy stunning La Plata Mountain views from this well-maintained home sitting on 3.6 usable acres in the El Rancho Florida Subdivision. The 2,480 square foot home features 3 bedrooms, 2.5 bathrooms, and an office. 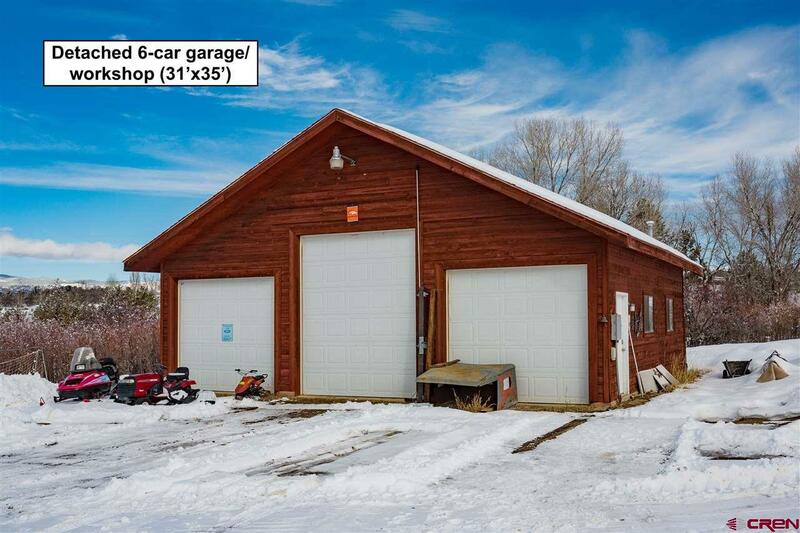 The detached 6-CAR GARAGE/WORKSHOP (31'x35') to provides numerous possibilities for anyone wanting to create their dream workshop or a place to store all of the toys. There are two-car garage doors standard size 9'10"x8'11", and one car garage 9'10"x11'11". One of the bays in the garage has been recently sheet-rocked and heated. 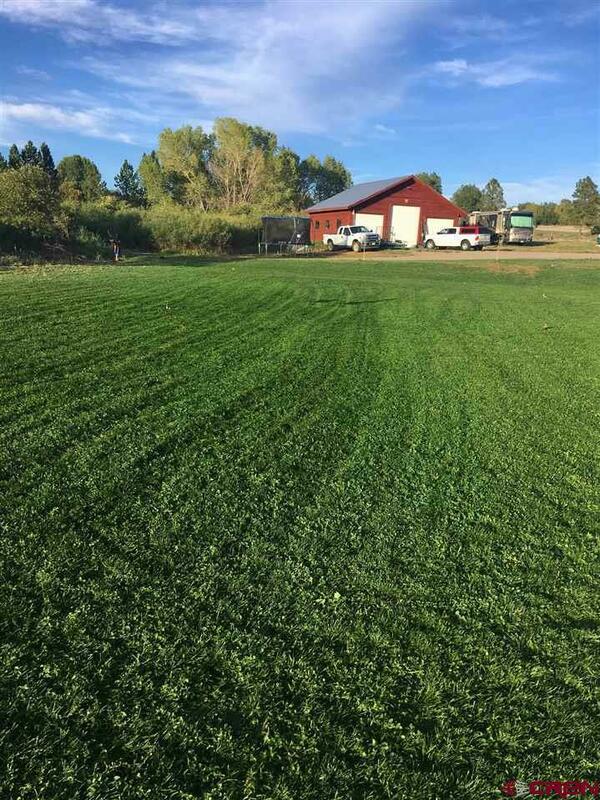 Other amenities are the silver car garage carport, fully enclosed chicken coop, and plenty of space to park your cars, campers, or RV. 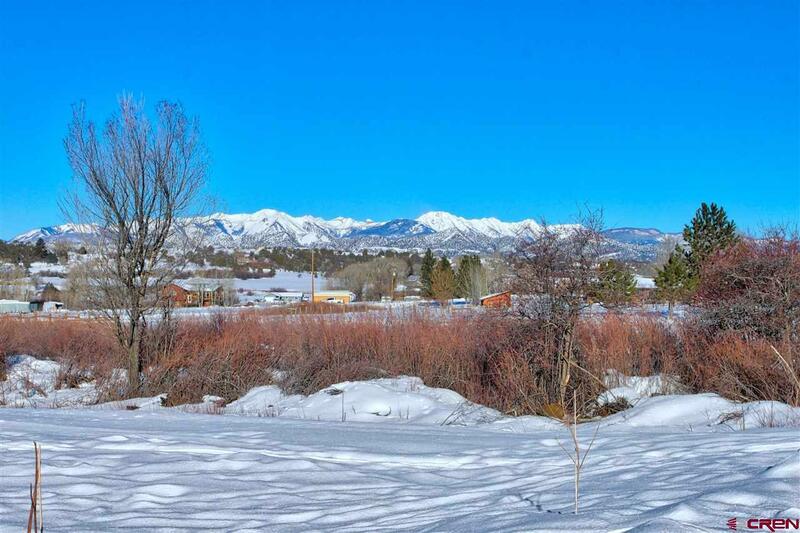 The convenience of being located near Mercy Regional Medical Center, Durango Regional Airport and Downtown Durango makes this location a favorite among buyers. Immediately feel welcomed on the large covered front porch surrounded with views leading into the bright, entryway. The current owner recently updated the house with high quality carpet and padding, new laminate flooring in the family room (could be used as a dining room), hardware and new faucet in the kitchen, freshly painted the interior of the house, and seeded new grass as large as a soccer field in front of the home. The living room with vaulted ceilings offers an abundance of natural light with a wall of windows, pellet stove that heats the majority of the home, and access to the backyard with a spacious covered deck. The backyard is already fully fenced, excellent outdoor space for your kids and dogs. The office next to the living room could be also used as a nursery, library or exercise room. The spacious kitchen offers plenty of countertops, modern appliances, and a double kitchen sink with the window overlooking the front yard. The kitchen opens to a breakfast nook; however, if you wish to have a separate dining room, you can use the family room located in front of the kitchen. Next to the kitchen is the mud and laundry room with its own access to the outside, and located behind this area is the utility room. The main level master suite offers amazing views of the mountains includes a large walk-in closet and a master bath with a vanity, walk-in shower, and a clawfoot tub. Upstairs there are two generous sized bedrooms with walk-in closets, and a full bathroom. There is also a private lake in the subdivision with a great beach area providing the perfect place to paddle board, fish and swim or just relax and enjoy the sun, sand and water. The El Rancho Florida subdivision has a central water system, allows up to two horses or 4-H animals. If you are looking for peace, incredible mountain views close to town this is a must see. 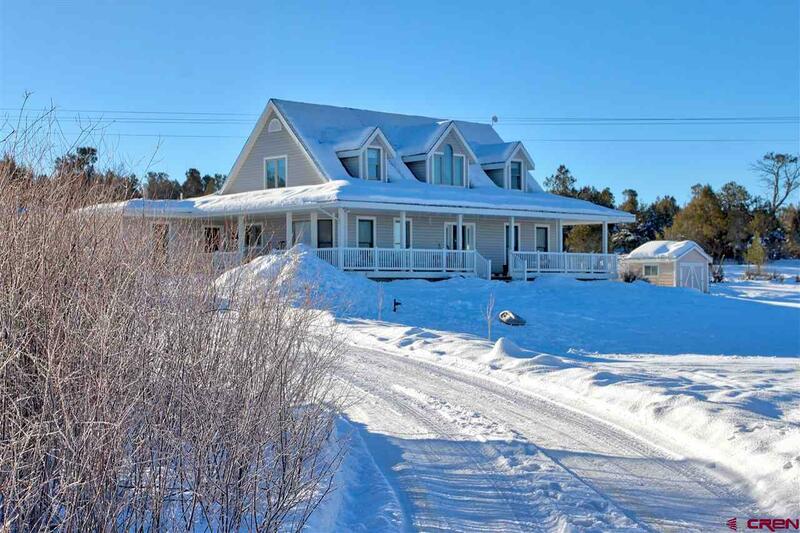 Bring your toys and horses to this beautiful country home!